It’s embarrassing and painful, which is why all treatments of constipation should be taken seriously. Coriander makes a very rare type of honey: coriander honey, which competes for the best cure of constipation, flatulence, colic, gastritis and ulcers. 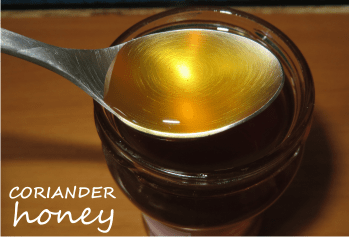 The plant is not largely cultivated, so this honey is quite rare. Yet, we can still find it locally, or online. Only remember to take raw honey and as fresh as possible. Cilantro, as it is known by North Americans, or coriander, it is one of the oldest herbs and spices on record, mentioned in the Bible, and found in ruins dating back to 5000 B.C. The name “coriandrum” was first used by Pliny, derived from the Greek koros, (a bug), in reference to the fetid smell of the leaves. English: Coriander French: Coriandre Italian: Coriandolo German: Koriander; Spanish: Cilantro or Culantro; Finnish: Korianteri; Romania: Coriandru. In some parts of the world, the plant has 2 names: the coriander leaves are referred to as “cilantro” and the seeds as “coriander”. Found more in South-East Europe, but also wild over a wide area of Western Asia. It is an annual soft plant growing up to 50 cm (20 in) tall. We all know it as a spice, using it in our cuisine, either for the leaves (especially in Mexican cuisine) or the seeds. The whole plant is edible. The flowers are borne in small umbels, white or very pale pink, asymmetrical, with the petals pointing away from the center of the umbel longer (5–6 mm or 0.20–0.24 in) than those pointing toward it (only 1–3 mm or 0.039–0.118 in long). The seeds are quite round like tiny balls. They lose their disagreeable scent on drying and become fragrant- the longer they are kept, the more fragrant they become. Chinese people believe coriander seeds have the power of conferring immortality! It’s a very rare type of honey. The nectar of coriander is highly dependent on weather conditions and usually the plant produces it every five to six years. And even then, the production is low. As a rule, a hive can give like 20 to 25 kilos of multifloral honey, and only 2 kilos of coriander honey. As a result, this type of honey is rare and expensive. Coriander raw honey is golden amber color, specific taste and mild aroma, which is levied two weeks after extraction. · Digestion. 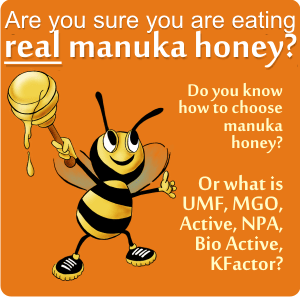 This is where this type of honey actions the best. it treats almost everything connected to it. 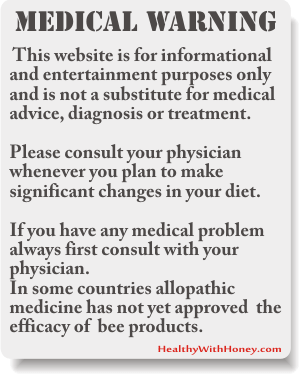 In hyper-acid gastritis and ulcers to constipation (like honeydew honey), bloating and indigestion. It is an ideal dressing gastric (due to slightly alkaline pH). There are a few online shops that sell it, but not the big ones. I couldn’t find it on Amazon.com, but it is on Amazon.co.uk. You can also find some honey here, on b-honey.be, sold with 7,00 € for 500 g of raw coriander honey. 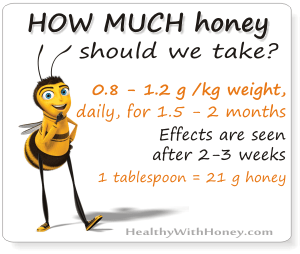 It’s not that expensive in my opinion, if compared to other rare types of honey. 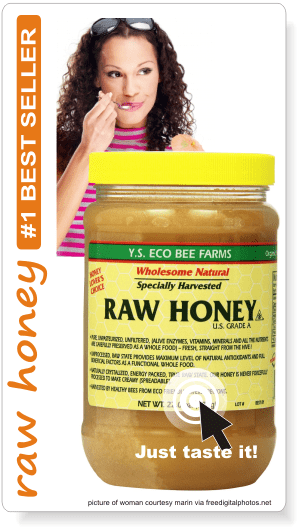 Of course in all the countries of Southwest Europe, we can find this honey locally. Not in great quantities, but still there. Coriander seed oil is the world’s second most relevant essential oil, exhibiting antimicrobial activity against Gram-positive and Gram-negative bacteria, some yeasts, dermatophytes and filamentous fungi. A 2015 review “Antimicrobial Activity of Coriander Oil and Its Effectiveness as Food Preservative.”, by Silva F et al., highlights the antimicrobial actiivty of coriander oil and the possible mechanisms of action in microbial cells and discusses the ability of coriander oil usage as a food preservative, pointing out possible paths towards the successful evolution for these strategies towards a successful development of a food preservation strategy using coriander oil. A very thorough review by laribi B et al., “Coriander (Coriandrum sativum L.) and its bioactive constituents.” highlights the importance of coriander as a potential source of bioactive constituents and summarizes its biological activities as well as the different applications from data obtained in recent literature, with critical analysis on the gaps and potential for future investigations. – digestant, stimulating the stomach and intestines. – beneficial to the nervous system. – masks foul medicines, especially purgatives, having anti-griping qualities. – Coriander cakes were once taken against ‘St. Anthony’s fire’, or ‘Rose’ a severe streptococcal skin infection called ‘erysipelas”, which caused many deaths before the advent of antibiotics. – In Asia the herb is used against piles, headache and swellings; the fruit in colic, piles and conjunctivitis; the essential oil in colic, rheumatism and neuralgia; the seeds as a paste for mouth ulceration and a poultice for other ulcers. – Coriander has been shown to improve tummy troubles of all kinds, from indigestion to flatulence to diarrhea. Weak coriander tea may be given to children under age 2 for colic. In East it is used as a condiment, and added in curry powder. In the northern countries of Europe, the seeds are sometimes mixed with bread, but the chief consumption of Coriander seed in this country is in flavouring certain alcoholic liquors, for which purpose it is largely grown in Essex. Distillers of gin make use of it, and veterinary surgeons employ it as a drug for cattle and horses. in Arab cookery, coriander seeds are very popular and are used with lamb, kid and meat stuffings. Taklia is the name of a popular Arab spice mixture,made of coriander and garlic crushed and fried. Coriander also goes well with ham and pork, especially when orange is included. It enhances fish dishes, and with other spices, may form a delicious coating for spiced fish or chicken, rubbed into the scored flesh and grilled. Try frying a few seeds with sausages for an unusual, yet interesting flavor! 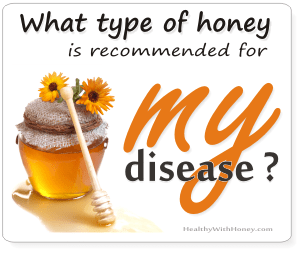 Honey benefits for health. 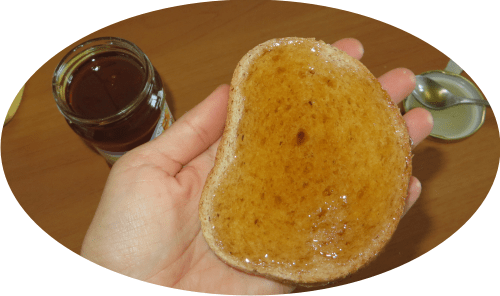 10 recipes of home made recipes with honey. Neonicotinoids are poison to bees and our honey! Désolée pour ce commentaire en français. Je me permets d’intervenir pour apporter un complément d’information important sur la coriandre. C’est un chélateur de métaux lourds puissant. Une étude au Mexique a montré que la coriandre permet de dépolluer l’eau. En Inde, on fait tremper des graines de coriandre tout une nuit dans un pot de cuivre rempli d’eau. Le lendemain on filtre. On boit cette eau au cours de la journée, ce qui permet de lutter contre la canicule ou périodes de forte chaleur. Une tige de coriandre dans un pot d’eau permet de purifier l’eau car elle va capter les polluants. Sorry for this comment in French. I will intervene to provide additional important information on coriander. It is a powerful heavy metal chelator. A study in Mexico showed that coriander helps to clean water. In India, coriander seeds are soaked overnight in a copper jar filled with water. The next day it’s filtered. We drink this water during the day, which helps to fight against the heat wave or periods of high heat. A stem of coriander in a pot of water can purify the water because it will capture pollutants.